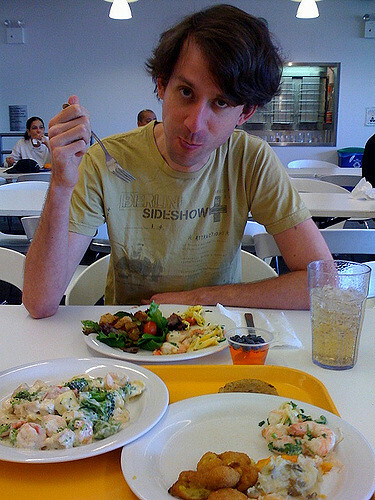 The tech industry believes free meals are an established perk that contributes to company culture. Local communities think it further isolates inhabitants from tech workers and adds to resentment driven by tech's impact on housing costs, traffic congestion while sucking income away from local businesses. In an attempt to attract employees to local restaurants and businesses, an ordinance would ban “employee cafeterias” from new office buildings in the city. This comes as local retailers, particularly those downtown, complain of a drop in business as more companies offer their workers meals in private corporate cafeterias. Companies and startups would be able to get around the ordinance by using catering companies to deliver to their offices which source from local restaurants. “And you can’t compete with free,” said Gwyneth Borden, executive director of the Golden Gate Restaurant Association. In an attempt to attract employees to local restaurants and businesses, Supervisors Ahsha Safaí and Aaron Peskin are co-sponsoring an ordinance that would ban “employee cafeterias” from new office buildings in the city. This comes as local retailers, particularly those downtown, complain of a drop in business as more companies offer their workers meals in private corporate cafeterias, Safaí said. I suppose the men's shops are not selling many white button down dress shirts like they used to either. The first rule of business is to stay ahead of change. You can't legislate status quo. Nice coverage of the story. Thanks.